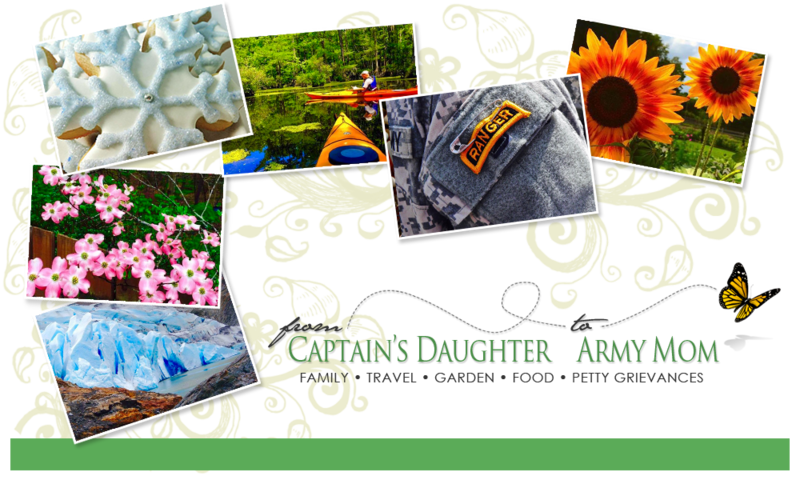 From Captain's Daughter to Army Mom: Oui, Sugar! 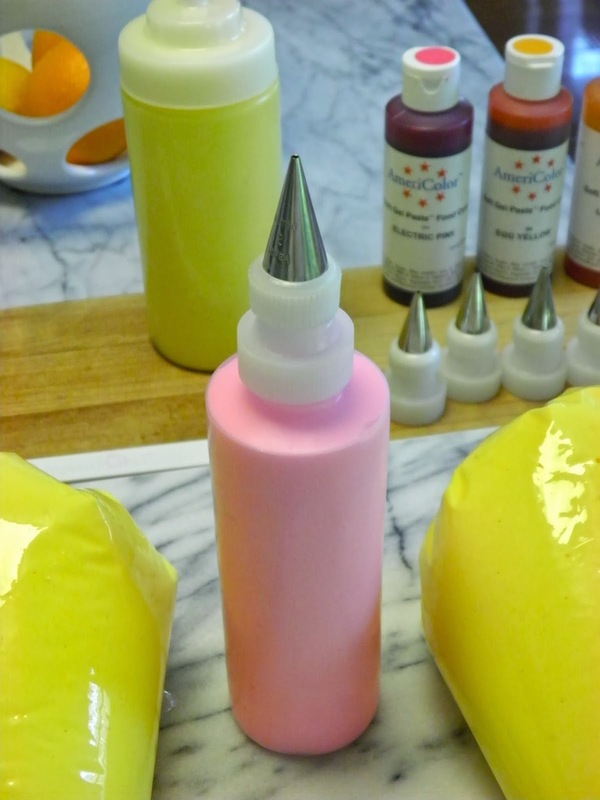 Decorating Squeeze Bottles get a New Look! Oui, Sugar! 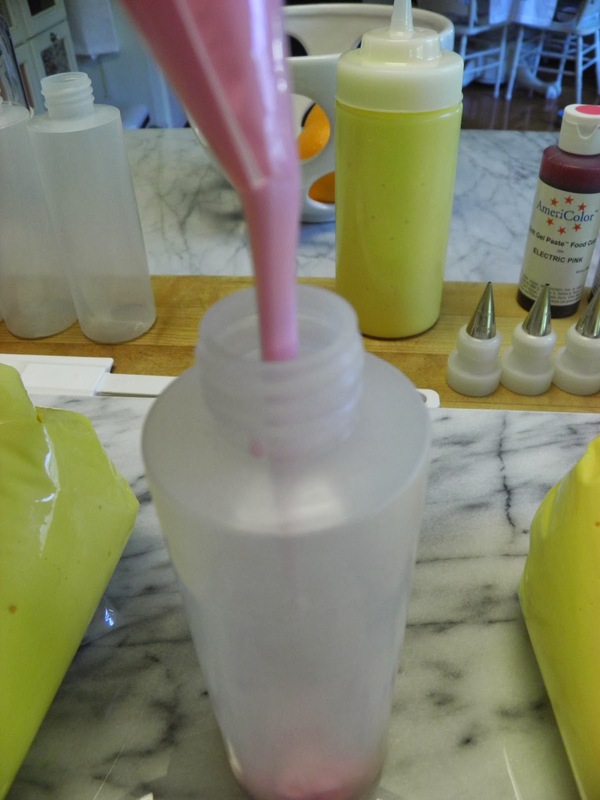 Decorating Squeeze Bottles get a New Look! bottles I use to decorate my cookies and, offer for sale through my store! work with their label vendor to come up with one... Just for me! 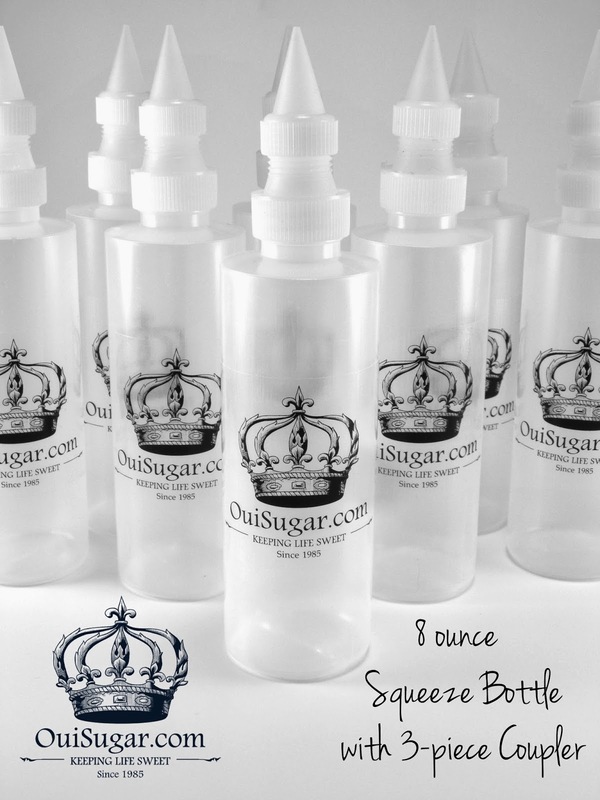 I cannot be without perfect royal icing or these squeeze bottles! And, if you love to decorate cookies too, neither should you! professionally produced label calls for a give-away... What do you think? one of my Oui, Sugar! 24-piece decorating kits. How about that?! 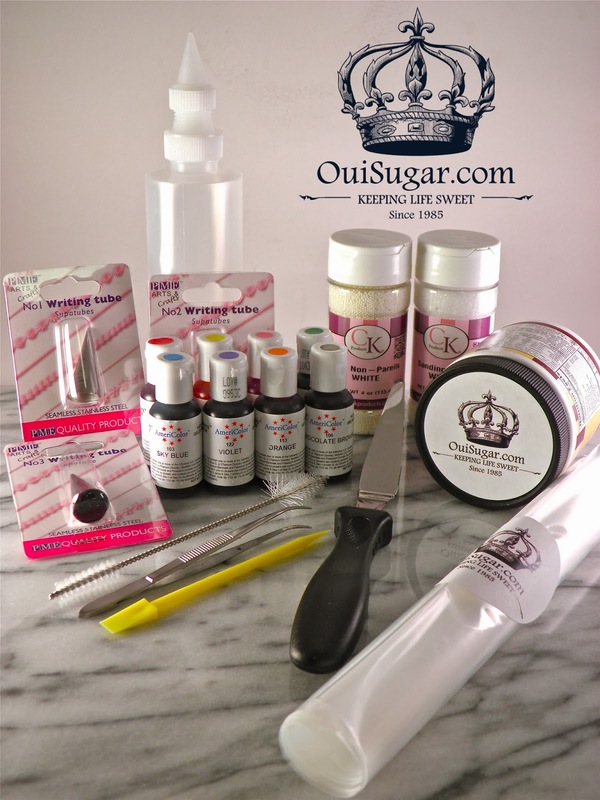 how you'd put this kit to good use in your cookie making! mailing address and I will ship your kit right away! Simply send me an e-mail requesting this offer with your order! Oh how I would love to be able to decorate cookies like you do!!! I would be glad to give it a try with that beautiful kit! I am just now beginning to learn your technique for decorating cookies. As a novice, I want to make sure that I have the best products to begin this new adventure! These beautiful bottles would be a fantastic first for my cookie making. You are my inspiration for decorating cookies, and I want my grandchildren to have the experience of delicious, beautiful cookies. I have been trying my hand at cookie decorating for a little bit now, I follow your directions to a t and yet still there is something missing. I keep telling myself as soon as I have a little extra cash I will not buy anything for the kids but your decorating kit. My main goal is to start collecting your cutters - I can't wait to start making gifts and treats for everyone. Love your blog!! I would love the kit to make decorated cookies with my two granddaughters. They are the perfect age for being creative and the kit would show them how having the right tools makes baking fun and enjoyable. Oh, wow, that would be so much fun! I would probably get together with my sweet dil, who loves to bake & has 4 of my 6 grandchildren, and we could have so much fun decorating cookies for the kiddos. This is such a wonderful give-away, Janet! Good luck to everyone! The inspiration I need to start making cookies again...perhaps shamrocks for St. Patrick's Day! Thanks for the chance. Love your fantastic label. So appropriate for the queen of cut out cookie making. Oh my goodness what I would do with that generous decorating kit. I would use your's and David's recipes and make some cookies the right and easy way with my granddaughters and gift them to family and friends. 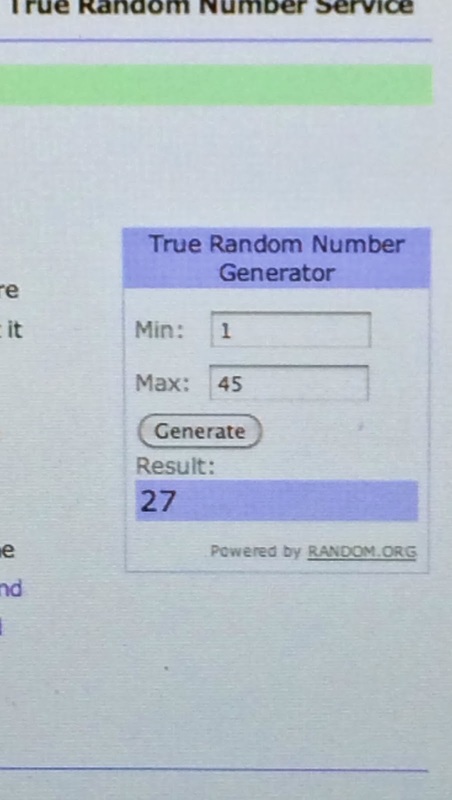 Wishing everyone good luck in this giveaway. 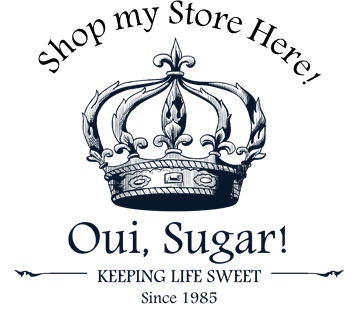 I just love what you are doing with Oui, Sugar!! and your logo is precious! I have a great collection of cookie cutters (many of them Martha by Mail copper sets--that a long ago "friend" gifted to me. Looking back it's the best part of our friendship as she went cuckoo and moved away!) Anyway, I digress, I am a self proclaimed "Holiday-A-Holic". I decorate, celebrate and make goodies for every special event! Your bottles--with the cool couplers--would definitely make the cookie decorating process easier!! I'm still decorating with bags and would love to try your bottles. I'd get to work planning Easter cookies for my 2 granddaughters"
I've been wanting to make cookies for the Veterans at the VA clinic where I work...this would make it sooo much easier!! I would love to use this amazing kit to make cookies with my daughter, we love to bake and create beautiful tasty treats. I have only done a couple of sets of cookies but already looking for the ideas for the next batch. I love to try out this amazing cookie kit on them! I have some fun ideas but none of the tools I need to bring them to life properly... As much fun as it is to try and MacGyver my cookies, I'd love to give some of my ideas a try with your great kit! I make dozens of chocolate chip cookies each week for my boys soccer, basketball and baseball games and I would love to try making them some fancy cookies! This kit would sure come in handy for making cookie favors for my baby shower! I would like to bake them some wonderful sweet treats. I would love to win your decorating set! I have my little girl's birthday party coming up and would love to decorate cookies to look like yours! 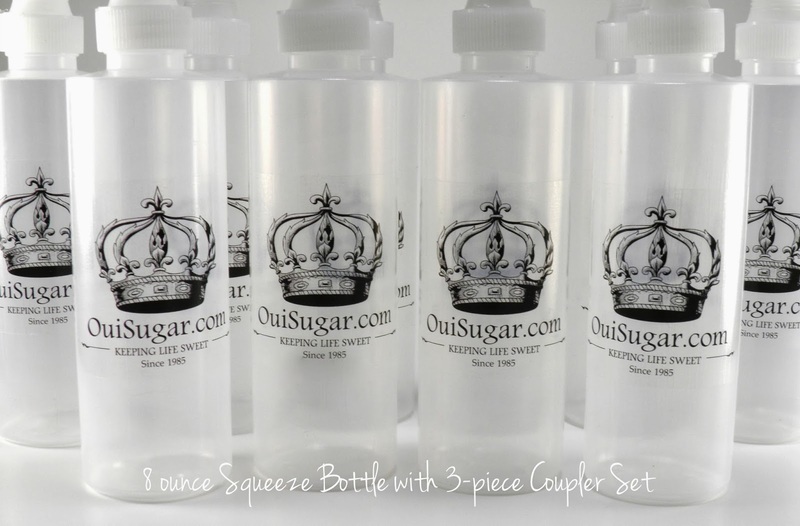 Love the new Oui Sugar Squeeze bottles with logo! Totally Awesome! These are the absolutely the best decorating bottles! Can't live without them! I would love to try out the squeeze bottle. I couldn't find one with a small point, so finally to be able to do more detailed work would be awesome! I recently posted my easy glazed cookies, all done with a spoon. I just don't have the tools to decorate cookies, but sometime I need to jump in and learn. So, if I got lucky enough to win, I'd roll up my sleeves and make it happen. You are the cookie decorating Queen! I would love to give royal icing a try. I have 2 little girls who would have lots of fun with this kit. Thanks. I would love to start decorating cookies! I decorate cakes and cupcakes but cookies are what I really want to start! This would be a wonderful gift for my daughter in law, Lauren. She is quite the baker and would get so much use out of this kit! I am a new mama and have recently started collecting Martha by Mail cookie cutters. I'm so hooked on cookie decorating now and can't wait to do it with my daughter. I just baked 60+ cookies for my son's 1st birthday using David's recipe and made two big batches of your royal icing. I had to cut my cookies on saran wrap and work my hand underneath them because I have no offset spatula! Haha It took forever but the shapes are amazing and tasty, as promised. I'm dying to try your gel colors - I'm worried that the colors I have here won't give me the results I'm looking for, but move ahead I must! We're Culinary tweezerless here, so I'm going to try throwing dragees in the air and see what sticks. Hahaha Thanks so much for the great advice on your blog - I've been sifting through it for days and it has been very helpful. I'm loving the new bottles! I'd feel like kitchen royalty! My sweet boy 3rd birthday is just around the corner, in April, so I cannot think of a better ay to use your wonderfult kit. Maybe car cookies or maybe some Mike the Knight cookies to match the castle cake that he will take to his school. I love to decorate cookies for family festivities including birthdays, holidays, anniversaries, etc! This week's project is my grandson's first birthday with the Cat in the Hat and the Lorax! I've been decorating cookies for a while, but my sister-in-law is just starting. I think this would make a great gift for her! What encouragement to keep trying! I'd use them to decorate Easter cookies. After having an up & down first part of the year ( last week I didn't get a job that I was sure I was going to get - The company decided they couldn't afford another person - guess it's a blessing in disguise). But spent Friday & Sat totally bummed, crying & under the covers :( . Now it's time to think of Spring and Good Things like baking cookies & making pretty things. Janet, you totally inspire me from the cookies to the antiquing to all your beautiful pictures! 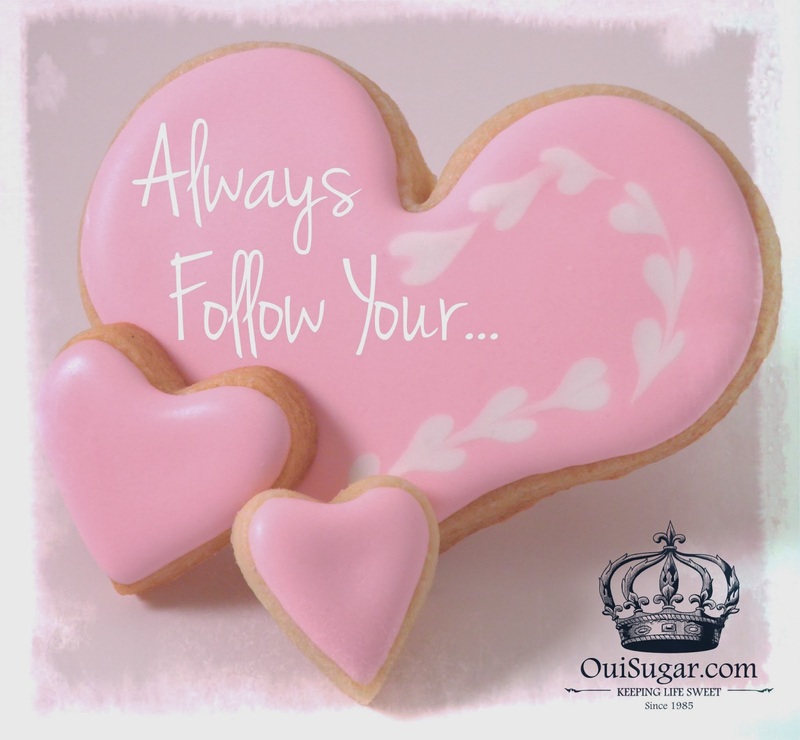 I would love to start spring on a Happy Note baking yummy, pretty cookies!! I love to surprise my cutie nephews with cookies so I would love this giveaway! I could come up with some fun spring inspired cookies! Anytime I "lurk" on your site I am inspired by all of your creativity. My sister is the cookie baker in our family and if I were lucky enough to win the decorating kit I would gift them to her. This kit would be perfect for making memories with her 3 year-old granddaughter because she loves baking with her Grammy!!! 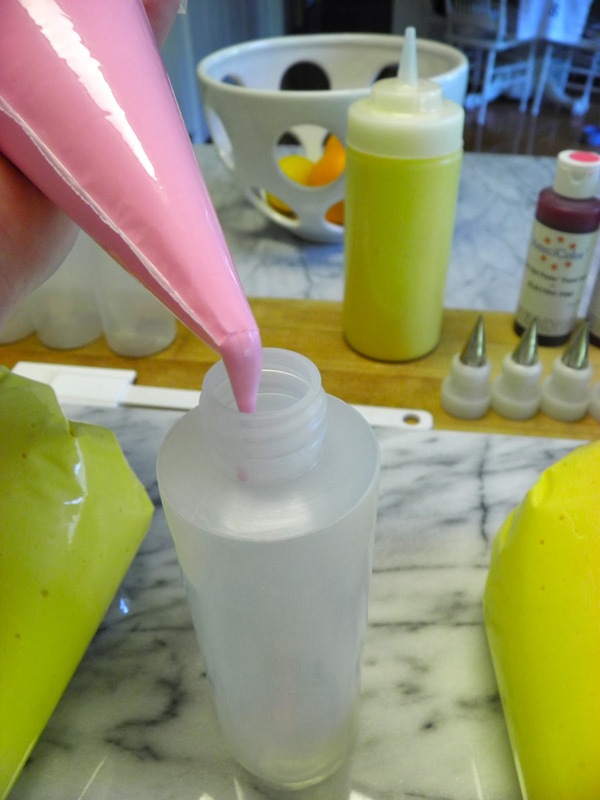 Setting up the "decorating station" for my preschool and Kindergarten cooking classes would be much easier with the squeeze bottles vs. decorating bags with a tip. The kit would jazz up my little students' creations!